Today, most of the People in the tech industry often use the term “cloud” without offering any real explanation to outsiders. It may sound complicated, but it’s actually a simple concept. The Google definition says it best: cloud computing is “the practice of using a network of remote servers hosted on the internet to store, manage and process data, rather than a local server or personal computer.” Nowadays the growing business needs to introduce the concept of cloud computing in managing and storing a large amount of data. With the present data, it is predicted that cloud computing will transform every aspect of the business from logistic to establishing and maintaining customer relationships. Cloud computing will offer a better solution for running an enterprise and help today’s leading businessmen to unlock many hidden benefits of cloud computing. 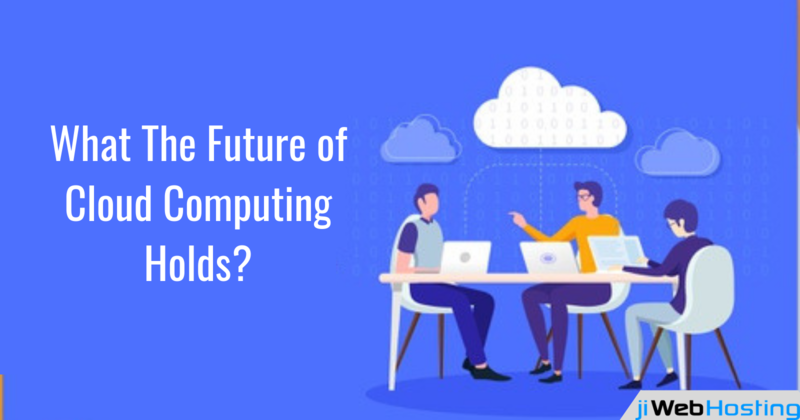 The rapidly evolving technology landscape at the global level and the continuous growing trends of cloud computing across individual countries describes the future status of cloud computing. Cloud computing will move to the forefront of enterprise technology: Most of the companies, especially the IT companies use public or private cloud computing platform for servers, storage, databases, networking, software, analytics and a lot more. The future enlists many more companies who will use the platform for easy maintenance of their business data. In the next 10 years, cloud computing will move to the forefront with plenty of executive support. Will leads to the generation of more revenue growth: The cloud computing will help businesses to focus on improving efficiency and fostering innovations. Thus, it will become a significant driver of revenue growth. Thus, many businessmen do consider that cloud technology will bring the turning point and enhances their ability effectively. Cloud capabilities will integrate with edge computing: Over the next decade, the cloud will evolve its technological features and make way towards integration in IoT devices and edge computing. As more and more businesses in different countries across the globe are understanding the power and intelligence of the cloud, it is becoming the first choice for many businesses to offer more seamless customer experiences. More priority to openness and interoperability: The cloud technologies will bring the biggest transformation and will introduce new tools with time. With the advancement, many businesses will recognize the value of interoperability, standardization, freedom from vendor lock-in, and will move on the path of continuous innovation. New technologies to enhance the speed and quality: The cloud is helping businesses to stay competitive in today’s world. Many companies have already adopted such strategies while others are in line to use such an approach to update their business functioning. This innovative technology help business to balance the need for speed with maintaining high quality. Cloud computing trends will continue to help you benefit from improved security, cost-saving and cloud monitoring services. Therefore, the business of any size, big or small will continue to engage, develop and integrate services on the cloud. Web hosting services will help you understand the cloud from the ground up and make the most of it. More research help in the development and introduction of better cloud hosting platform that helps today's businesses enhance their technologies and in generating more profits. Today’s achievement will increase future demand and the use of cloud computing to take businesses to heights.